Mozart himself saw the advantages of creating more accessible versions of his concertos in reduced instrumentation. Ignaz Lachner followed common 19th-century practice by leaving the piano parts of these concertos intact and making splendid transcriptions of the orchestra parts using only a string quartet with added bass. 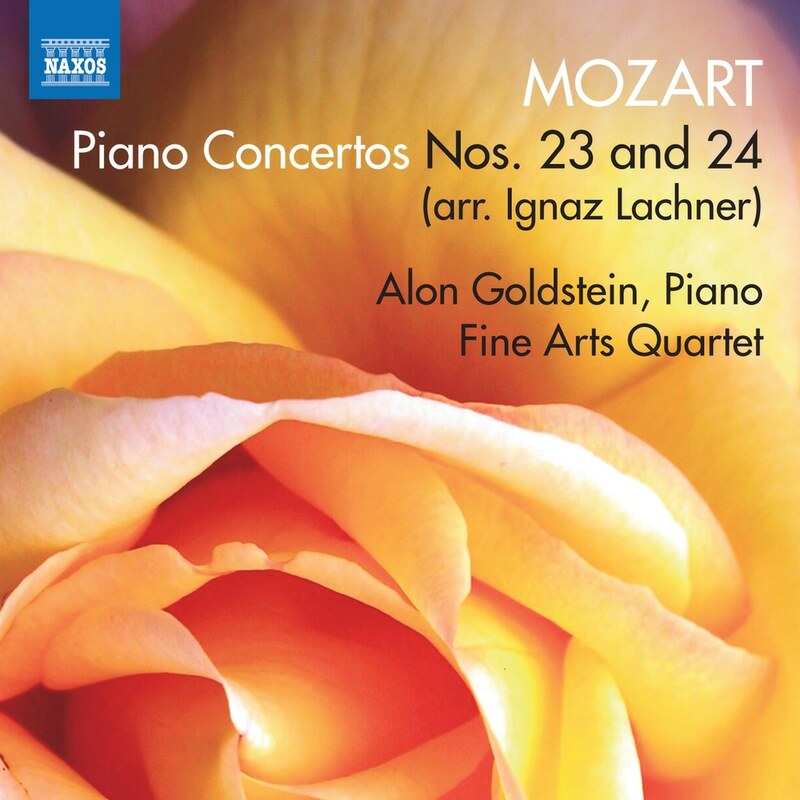 K. 488 and K. 491 are two of Mozart’s greatest and most popular piano concertos. These chamber versions throw an intense and intimate new light on familiar music. Alon Goldstein is one of the most original and sensitive pianists of his generation, admired for his musical intelligence and dynamic personality. His career as a soloist has taken him all over the world, working with leading orchestras and conductors. The Fine Arts Quartet ranks among the most distinguished ensembles in chamber music today, with an illustrious history of performing success and an extensive legacy of over 200 recorded works.